Best Non-Toxic Cat Litter | Is Your Cat’s Litter Safe or Toxic? Safe and non-toxic cat litter choices. Raising your cat naturally starts with your cat’s litter. After all, this is something your cat spends a lot of time with touch, scratching and inhaling. Clumping Cat Litter: If you have a kitten, eating the litter may also be a concern, in which case, a clumping litter is not recommended. If a clumping cat litter (sodium bentonite) is ingested, this can easily cause blockages in a cat’s intestines, leading to possible death. However, this is only a big risk if you have a kitten or cat that eats the litter, or a kitten that licks her paws after stepping in the litter. Clay Litter: Clay cat litters contain silica, which can cause lung disease and lung cancer. It is a known carcinogen when inhaled. Read More. I’m sure you are familiar with that gray dust that forms when you pour clay litter in the pan. Imagine that occurring every time your cat enters her box and scratches at the littler. Silica Gel Crystal Litter: Just like with clay litters, SILICA, is a no-no in my book. Wheat, Corn, Pine, Paper, or Walnut Shells Cat Litters: These cat litters are typically natural, renewable and biodegradable. I say typically, because like with any product, you must research to ensure a manufacturer doesn’t add anything to it. Also, most are not organic, which can mean the original product was sprayed with a pesticide. Final Note: Some cat litters claim to be flushable. This may seem like a good idea, but some cats carry a parasite called Toxoplasma gondii which is transmitted through feces and can cause birth defects in humans. This hardy parasite is not killed by sewage treatment plants and will eventually make its way into the ocean. Once in the ocean, crabs can eat the parasite, then other mammals such as sea otters eat the crab. Therefore, flushing is not recommended. A better solution is to place the cat feces inside biodegradable bags and toss it into your trash. Is your cat not using the litter box? Read more here. Do you use a natural cat litter? Tell me in the comments. A comprehensive guide to cat littler and its safe use for the feline owners among us. We don’t have cats but will pass the info along to those who do! Thanks, Nichole. I appreciate it. I don’t own a cat, so I have never wondered about this topic! You see, you learn something new every day!! Great info! Interesting — I’ve never had a cat, so I had never thought of these issues. Good to know! Thanks for stopping by, reading and commenting. H’mm I need to read the label on the cat litter we use. It is pine, but it has been a while since I checked to see what else is in it. Thanks! I cannot believe how things have improved for cats, I remember over 10 years plus ago when I had 3 cats and how limited we were with what litter we could get, its fantastic. I have tried Okocat and it worked pretty well for two of our three cats. Unfortunately, our third cat is a senior with some litter box issues and she won’t use it. Dr. Elsey’s Cat Attract is very good and I think it is also all natural. Sweet kitty. I assume you’ve gone the medical route? I will be writing about litter box issues. Not sure on Elsey’s I wasn’t able to find an ingredient panel on their website. 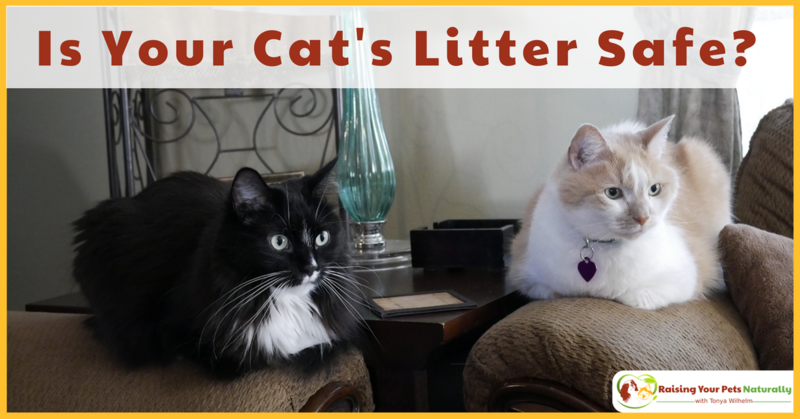 I try to find the best litter for my cats, but I must also use on that they will actually use. I had never thought about these points when I had my cats, what an eye opener, especially the point about Toxoplasma and how easily it can get into the ocean or the food chain. Ugh! Thanks for sharing this information. Pretty scary stuff. Thanks for stopping by. I never knew there were so many varieties to begin with! No cats here. 🙂 It’s nice having choices, but then can get confusing. Wow, I did not know cat litter had so many hidden dangers – I did worry Kilo would try to eat Nala’s but he only went for her food. I also did not realise that nasty little parasite was so hardy- YUK!! It is awful to think of what gets flushed. I use Dr. Elsey’s litter. Ingredient list: Natural clay. No perfumes or deodorants, and 99.9% dust free. I wonder if that means less silica dust? I still would feel uncomfortable using it because it contains silica. I personally try to stay away from toxins if there is an alternative. I think we need to spend more time reading the label on our cat litters before purchasing them. I love this article, brings so much awareness to us so that we can give our little animals the best! Thanks, Ana! I completely agree. Thanks, Ana! I love pine litter too. 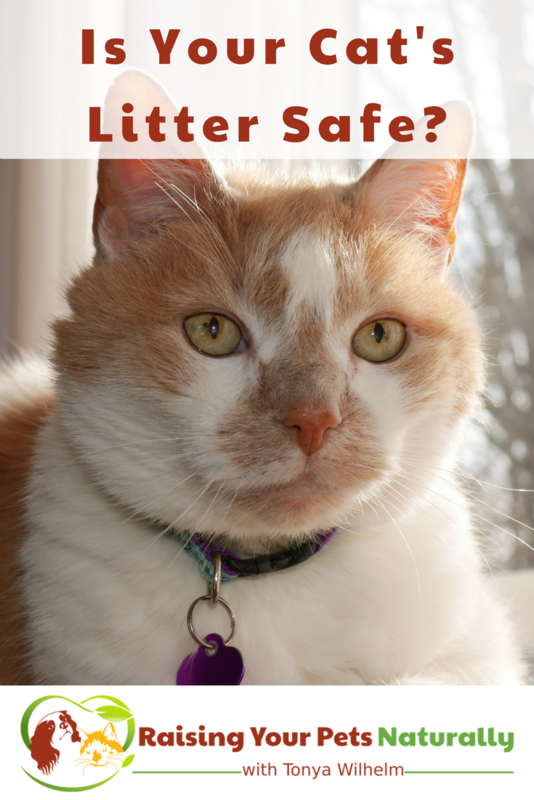 Where is the list of safe and non-toxic cat litters? I only see the problems with so called natural cat litters. Thanks. This is not a list, but to help teach cat parents on how to evaluate litters. I do have three below that are good options.